Tai Solarin University of Education (TASUED) Full-Time General Courses’ E-test Timetable for First Semester, 2018/2019 Academic Session. 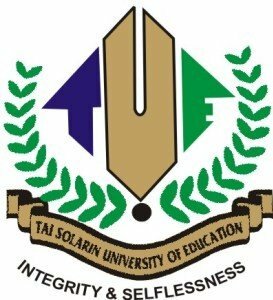 Authorities of the Tai Solarin University of Education (TASUED) has released the general courses’ E-test timetable for all full time students for the 2018/2019 academic session. Please note that E-test starts by 8:00AM, so all students are advised to follow the time allotted for their Colleges strictly.